Seen as it is a pizza restaurant, it seemed wrong to order anything else other than pizza. The menu does have pastas and salads as well. There were two pizzas that were especially appealing. One was the grilled vegetable and caramelised onion which had toppings of aubergine, courgettes, peppers, onions, mozzarella and goat’s cheese. I decided on the other pizza though which was generously topped with tomatoes, sundried tomatoes, roasted peppers, courgettes, olives, mushrooms, garlic and mozzarella. The pizza base was perfect. It was crispy and still had substance to it as it wasn’t paper thin. The garlic with the tomato sauce made the flavour of the pizza really great. 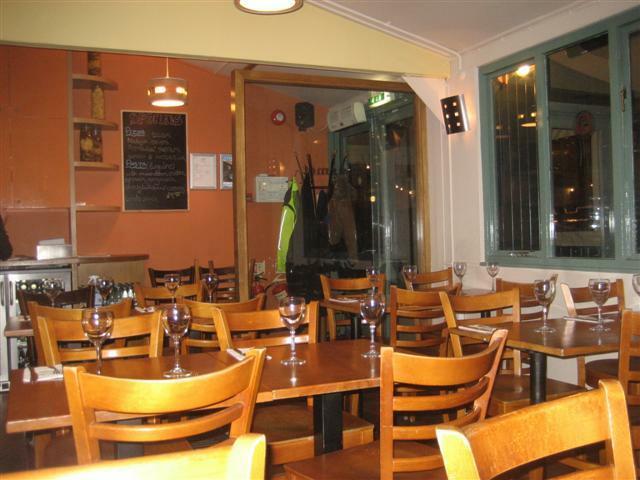 Gourmet Pizza Company do a range of hot drinks including coffees and teas. The Earl Grey tea was served in a tall latte glass but I always prefer having tea served in a teapot. The fresh mint tea was also served in the latte glass. It was good that the mint tea was not made from a teabag but from fresh mint leaves. 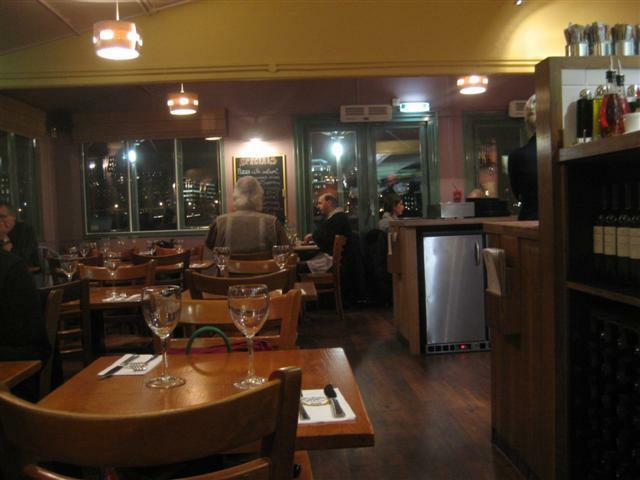 This restaurant has an open kitchen with the dining area surrounding the kitchen. The decor is all wooden tables and chairs and there is also outdoor seating facing the river. The staff were really friendly and very welcoming. They gave service with a smile and were not pushy in any sort of a way. It made the whole atmosphere relaxing and comfortable. 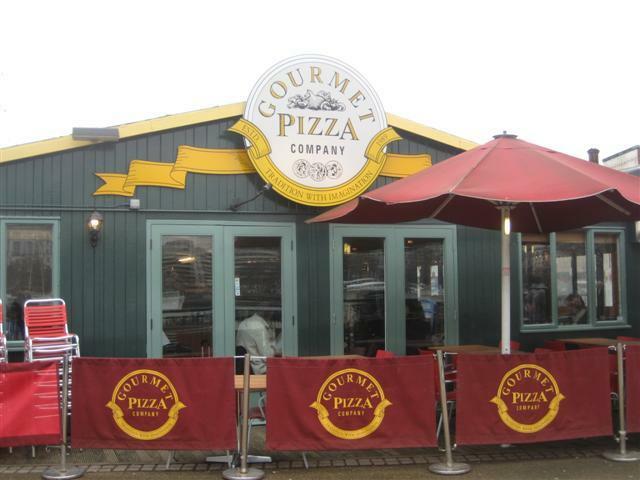 If you’re ever around Gabriel’s Wharf, then Gourmet Pizza Company is a lovely place to go for lunch or dinner. It would be great in the summer months too. An arguement insued and then a scuffle broke out in which my girlfriend was man handled and knocked to the floor injuring her elbow and hand. The management in this establishment are a poor excuse of human kind and behaved in an absolutley appaulling manner. I strongly advise everyone to stay away from this restaurant as the management have a total disregard for, and have no idea of how to treat or speak to their customers or have any respect for them. GO TO THE GOURMET PIZZA COMPANY AT YOUR PERIL…!! !